There is nothing more joyful at Christmas than our Mini Star of Bethlehem. Gather your family near to watch the wonder of renewed beauty and restorative growth with a small version of the traditional Star of Bethlehem. 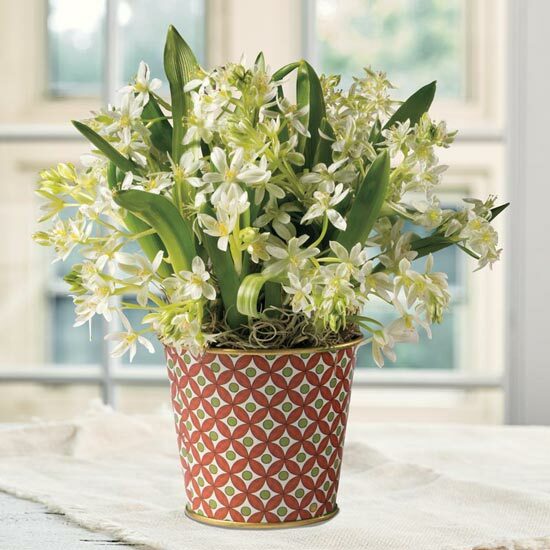 Well rooted and ready to sprout and bloom, 12 miniature Ornithogalum bulbs create a spirited display when in full flower. These are very fast growers that will give your family a holiday show they won't soon forget. We've paired this petite variety with a pretty planter that features an attractive seasonal design. 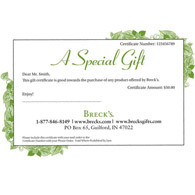 Makes a wondrous gift for anyone on your list! EXCLUSIVE.